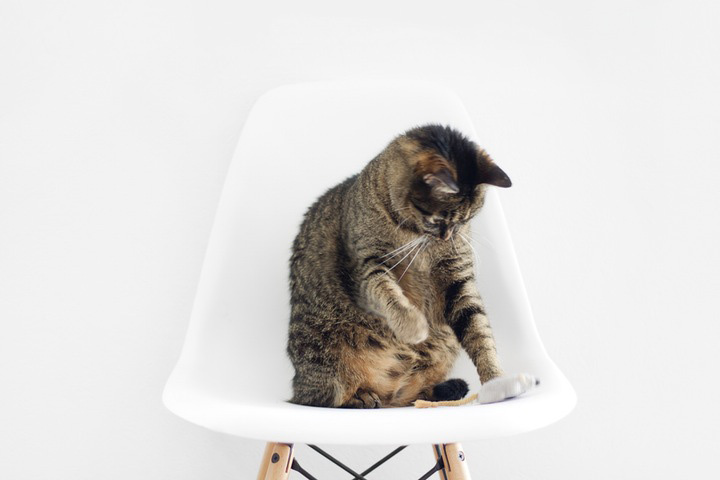 In the modern climate of tech innovation, what’s the best way to play with your pet? There is no need to spend your cash on costly toys—playing pet care games with your furry friend has become a much more creative process. Sometimes toying around with your pet goes beyond fetch. While keeping an animal can be a ton of work, figuring out how to effectively entertain them is critical to their health and happiness. The following are a few fun ways to help your four-legged friend stay on their toes. If it’s a rainy day or you have a small space to exercise your dog—believe it or not, creating an obstacle course is one way to keep them moving. Just think about how excited you were to build forts when you were a kid. Clear out enough space to lay out some rolled up blankets, then prompt your pet to jump them. Don’t use anything that is hard or could harm your animal in any manner. Giving treats often makes the training process much easier—but remember, this is about fun! Walk your dog (or adventurous cat) through the course a few times, all the while rewarding them. Once you have done this a few times, position yourself at the end of the course to see if you have conditioned them enough to jump the hurdles. Not only is this a cute and inexpensive exercise for your pet, but it’s a form of training (and they probably don’t even realize it). It’s not just for toddlers. My cat goes crazy over this one; all I need to do is display an eye around a corner. Pets in general love the concept of “now you see me, now you don’t.” Grab a handful of treats or your pet’s favorite toy (in my case, it is actually a marker), and use it to entice them to your hiding spot. Domesticated animals love mystery. It reminds them of their hunting instincts in the wild. A simple game of hide and seek can move mountains when it comes to bonding with your pet. Believe it or not, both dogs and cats can actually recognize specific words and phrases if they are repeated enough (and in the same tone). Start off by using 1-2 of your pet’s favorite toys. After calling out the name of the toy, throw it so the animal recognizes that you are associating that phrase with that particular object. Keep the terms simple and maintain the same tone (at times it can get squeaky). Eventually, your pet will begin to recognize and place the sound you are making, with the object you are referring to—thus training them on word recognition. If people are critical of whether both cats and dogs can accomplish these tasks, one might only look to potty-trained felines to understand that both species possess the cognizance to be trained (with the proper amount of effort, of course). Like the classic children’s game, this can also be played with an adventurous pup (sorry cats). If your dog knows how to “stay,” and “come”, this is the perfect game to get exercise, and involves other people. One person stays as the game “moderator,” but instead of shouting “red light!” “green light!” the moderator will be yelling “stay!” and “come!” This allows the dog to essentially participate in what has always been a game for human children. If you treat your dog after each command, they are sure to pick up the game in no time. Now not only can you have an affordable fun time with your pup, but you can get everyone involved in the fun! Play detective with your dog. Hide various treats around the house, and see how fast your friend can find them. Once your pet has located treats in obvious places, start getting more complex. Move into the yard, and begin training your dog on how to locate the same smells from farther distances. Nosework is about stimulating your pet’s olfactory glands, while playing with them in the process. Easy pet care games only need involve two common factors: attention and love. Using simple household items to challenge your pet and sharpen their abilities are some of the best ways to play with your pal. Whether you’re playing hide and seek over forts, or using word recognition during a game of red light, green light, your furry friend is sure to be engaged and thankful for the creativity and attention. Contact Paw Pals for more information.